corruption Archives - mafianeindanke e.V.mafianeindanke e.V. According to 2015 edition of Transparency Internationals’ Corruption Perception Index Denmark is the least corrupt country in the world. Until now it has been the most reliable and highly graded study in the domain of countries’ corruption rate. This year a new study conducted as a part of the ANTICORRP project (a EU-founded research group) has been released and surprisingly not Denmark but Norway is in the lead. The winner’s shift can be easily explained: the ANTICORRP research project founded by the European Commission re-evaluates the measurement variables in order to render them objective. Contrary to the Transparency International’s study, cheap ugg outlet the corruption index is not measured by this specific countries experts according to each country’s domestic sense of what corruption is – the group studies publicly know data in the six big domains: judicial independence, administrative burden, trade openness, budget transparency, e-citizenship, ugg outlet near me coupon and freedom of the press. Until the end of the year 2017 Mafia? Nein, danke! e.V. 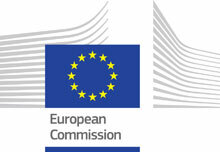 will be a partner in the European Project: „The Private Corruption Barometer (PCB) – Drafting and piloting a model for a comparative business victimization survey on private corruption in the EU.” Together with the research group eCrime from Trento University, in Italy, the Center for the Study of Democracy of Sofia, in Bulgaria, and the Universidad Rey Juan Carlos of Madrid, in Spain, our organization will support the creation of an indicator to understand the perception of the level of corruption in small enterprises. 12 May 2016 London became the capital for anti-corruption activities – over 40 countries were represented at the Anti-corruption London Summit 2016. The range of participants varied from government’s appointees to non-governmental organization’s and privat business-establishments’ representatives. This year’s edition was particularly relevant due to the latest revelations divulged on Panama Papers, numerous tax evasions performed by influential companies and increased world’s tendency to fight organized crime and corruption. Germany was represented in a person of Heiko Maas, the Minister of Justice in Angela Merkel’s cabinet. One-day long meeting did not bring breakthrough promises from the side of German authorities. Nevertheless, it enabled the countries’ dialogue and certain commitments were made, wich might act as an incentive for other states to take steps in the fight against corruption. 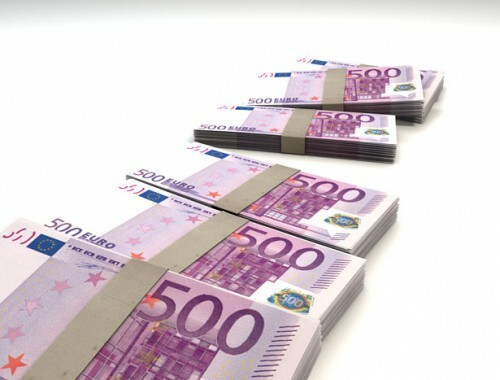 500 euro bill – help for mobsters? The idea of withdrawing 500 euro bill from circulation reappears in public debate every now and then. In 2010, the United Kingdom was the first to ban the sale of the note by exchange offices even though the country is not a member of the Eurozone. Now, the European Anti-Fraud Office (OLAF) calls on the European Central Bank (ECB) to reconsider withdrawing the banknote as it is a comfortable tool for mobsters to smuggle tainted money. On the other hand, there are countries like Germany or the Netherlands where the tradition of using tangible money instead of electronic one (like credit cards, cheques etc.) still prevails. So what are the main concerns that act in favor of withdrawing the purple bill? Recent years have been no sunshine and rainbows for Deutsche Bank – one of the most powerful worldwide-known institution. Next week, the bank will announce a record loss, the highest in its history: 6,7 bln euros. That downturn is surely correlated to many dubious deals executed by the bank in the past years for which it will be answerable now. But in this story, the most staggering is that, apparently, intricate criminal-like structures can grow only if equipped with the jurisdiction’s, tax advisors’ and – indeed – financial institutions’ support. Thanks to such a team, bank’s operations are susceptible to oscillate in the grey area, jurisdictional void, simply toying with rules and regulations.